This luxurious home in Santa Cruz CA has almost every amenity you could desire. Wonderful Bonny Doon Home! Located on over two and a half acres near the old Bonny Doon airport, this luxurious home has almost every amenity you could desire. It is newly rebuilt from the studs up. Beautiful gourmet kitchen with island, granite counters and stainless appliances. 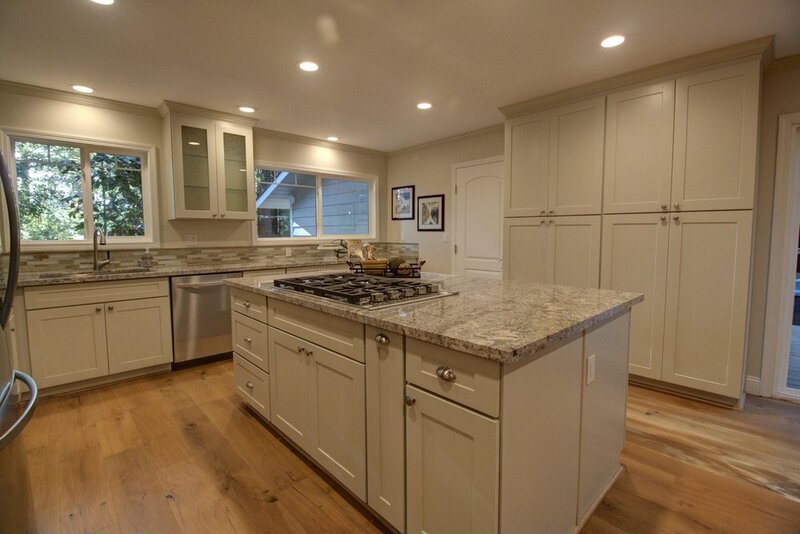 Huge amounts of cabinets and counter space, along with a double oven and commercial quality cooktop provide the perfect place to create your next culinary masterpiece. Gorgeous bathrooms with Kohler fixtures, white subway tile, and granite counters. Wide plank hardwood floors throughout. Large living room overlooking the forest with stone covered fireplace and wood stove. Huge deck surrounded by redwood trees, yet open to the sky. Fenced backyard and enclosed garden with chicken coop. Dual wells & dual water storage tanks, Storage building. 2 car, finished garage. LED lighting, copper plumbing, new electrical, new dual pane windows. Fantastic schools, including Boony Doon Elementary School.